Buy more, pay less. 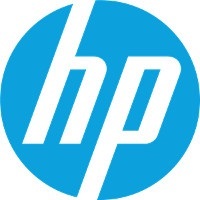 Save up to 20% packing HP Twinpack. Cost effective two packs black print cartridge HP No. 56 suitable for users with large volumes of printed material. These cartridges together will allow you to print up to 1,040 A4 pages at 5% coverage. For shipping to other EU countries visit this page HP C9502AE No. 56 2-pack. Chcete doručit zboží do Česka? Prohlédněte si HP C9502AE č. 56 2 pack černá. Chcete doručiť tovar na Slovensko? Prezrite si HP C9502AE č. 56 2 pack. Magyarországra történő kiszállításért tekintse meg ezt a termékoldalt: HP 56 (C9502AE) 2 darab.